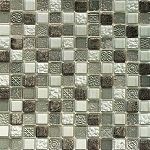 Glass and Stone Mosaics are a brilliant combination of mesmerizing glass and natural stone. 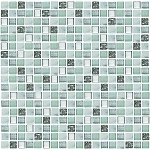 These mosaics are durable, easy to install and come in an endless array of combinations. 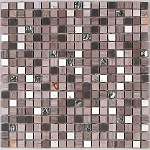 We have Glass and Stone mosaics that contain pieces made with marble and travertine! There are textured glass pieces, polished glass pieces, matte finished pieces and more. 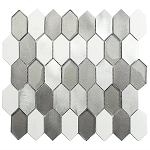 The combinations of colors, textures and the types of stone create one-of-a-kind mosaics that are ideal for any residential or commercial space.